We all have somebody in our lives who rarely goes to the doctor, claiming they are too busy or feel fine. Or maybe that person schedules appointments only to continually bump or reschedule them. I've seldom been that person and because of it, I'm thriving today. Due to my storied cancer past, I scheduled an executive physical at The Princeton Longevity Center to assure that my health was in check. It wasn't... but having the information from that visit helped fix it. Now a few years later, I'm hoping to live a long life keeping cancer in check. 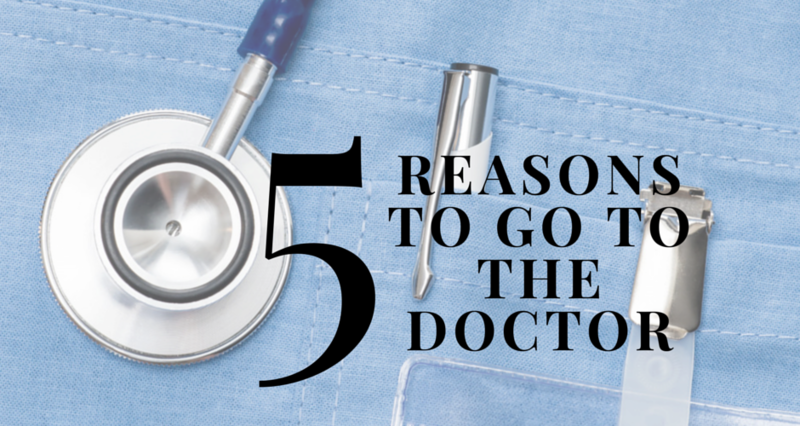 I truly believe that whether one is healthy or not, going to the doctor and having a routine physical is incredibly important. I'm not suggesting we should all go to the doc every time a minor scrape appears. However, it doesn't have to be Heart Month or another awareness driven promotional period to pay attention to our health. We regularly do maintenance on our cars with oil changes and tire rotations every 5,000 miles. So, why don't we think of our annual check-ups in the same mandatory way? An annual physical means screening for overall health issues and sometimes providing vaccinations or additional information to prevent serious diseases. My doctors have access to years of my medical data because I've visited the doctor annually. Whether I'm sick or not, any changes in blood work or new aches can be referenced to earlier notes. It's easier for my doc to diagnose or refer me to other specialists knowing my medical history. Also, many doctors now utilize electronic medical records, which are promptly available to network hospitals in an emergency. 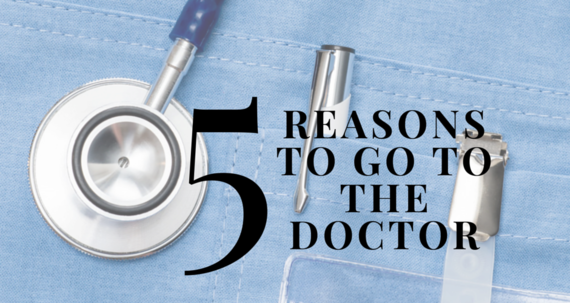 This is incredibly important and wouldn't be possible without regular doctor visits. I sometimes dread going to the doctor for fear of finding out information I don't want to know. Then I stop this negative self-talk because it only hurts me. Not knowing there's a problem also means I can't fix it. Being armed with information about my health helps me find the right practitioners to treat the illness. Ignoring it can potentially lead to bigger problems down the road. Research shows that early detection is important for better prognosis of the disease and potential opportunity for cure. Every time I visit a doctor, I interview them. I do the legwork beforehand, researching information on wellness techniques or healthy diets. Then I discuss with my doctors. Sometimes they provide thoughtful insights; other times they refer me to other practitioners or sources. In both cases, I benefit because I take the research I've gathered and confirm its credibility. For those not passionate about wellness, ask for a medical/natural expert's thoughts on what the media is covering on health and exercise, foods, supplements and mindfulness practices. I'm not friends with my docs on Facebook or host them at my house for a BBQ, but I do have a nice relationship with them. This became incredibly helpful when I couldn't get a PET scan for 10 days after an initial report noted a suspicious lesion. I then called my OBGYN and primary care doctor asking for help. Because they knew me, they both took my call and helped expedite the PET scan. Here's to a healthy and happy Heart Month for this February and beyond. A similar post originally appeared on Pretty Wellness. For more healthy living stories and tips, you can follow Caryn on Facebook, Twitter, Instagram and YouTube.